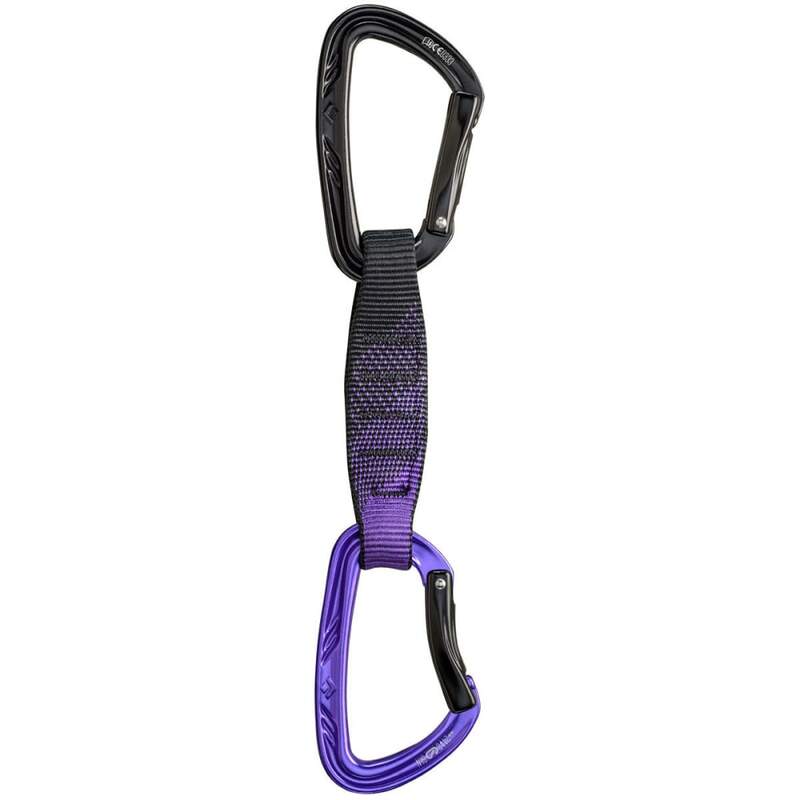 The premier full keylock quickdraw for snag-free clipping and cleaning, the Black Diamond Nitron Quickdraw features two 100% hot-forged Nitron carabiners and a lightweight, durable 27 mm Vari-width polyester dogbone. Ergonomic, hot-forged gates make for easy clipping on either the bolt or rope end, and the keylock noses eliminate the hassle when cleaning steep routes. There’s also a Straitjacket dogbone insert to keep the bottom biner in the optimal clipping position.